I have gained an appreciation for my childhood and life experiences; I feel this is an important aspect I have discovered about myself while writing this blog. With these moments, I feel I have gained ground and they have shaped me into the man I am today. I feel that it is important to show respect to those who have contributed to my well-being. One of my favorite bands, The Walkmen, released Heaven, which expresses pure sentimentality. I feel the words are not only important to the band, , but also to me, as I am constantly reminiscing about my past and its significance in forming my perspective on life. These lyrics embody a feeling of something lost and found again. Growing up, you’re not as prone to understanding life and its surroundings, but when you grow older, you’re keener to these details. The Walkmen, I feel, stress this idea in this and other songs on the entire album. It is also strategically displayed in the pictures on the album. There is a very distinct sense of tradition and the values in which the band upholds. I remember hearing this song for the first time, and thinking to myself that there was a band out there that treasured their past. It isn’t something I am able to feel with most of the artists I listen to, and I really respect their sentiments. What does all of this mean? In reference to the weekly throwback photos on Instagram, which are seen by many through hashtags, it is the passionate longing for time to stand still: love and romance, in its purest form. I say romance, meaning not the traditional idea of two people in complete infatuation with one another; rather, a person who longs for the love they had for a time in his or her life when things were simple. A time when things made sense. My childhood was nothing but fulfilling. I give all my credit to my wonderful parents who stopped at nothing that I experienced everything a child needed to succeed. I had no problems, ever, talking to my parents about the sometimes confusing and adventurous life of being a kid. Mom and Dad always felt that my life with them and outside of our home life was important in searching and creating the future me. The picture I have included in this post shows the exuding happiness I felt growing up. I was four-years-old when this photo was taken. 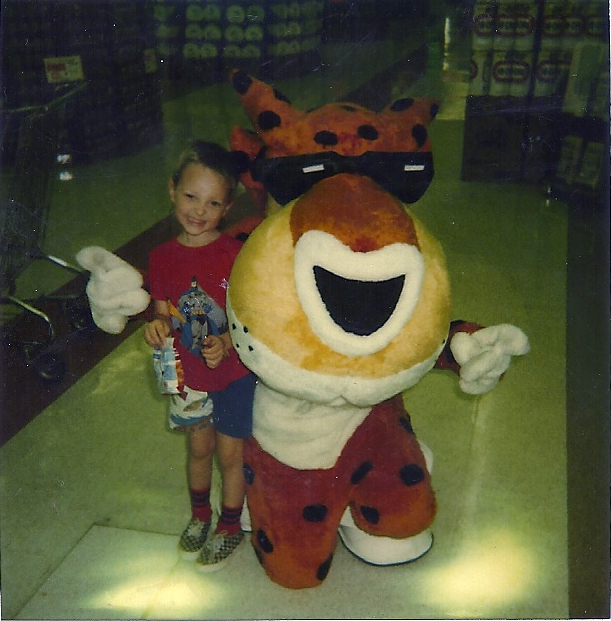 Guessing by the style of my clothes and the figure that was none other than Chester Cheetah, it was totally the 80s. I look at this picture and can’t think of anything but the happy times I experience early on in my childhood. Take my thoughts on childhood and cherish those moments as I have, for they are the ones that may seem lost, but when looking at a photo, become fresh in your mind and seems like it was only yesterday. This playlist is the soundtrack of my college years. Each of these songs in some way or another stood out as important songs left an impact on me during this time of my life. Most of the tunes could be heard through my earbuds before and after class.Not only did they get me through classes, but it got me through the trials that I faced while in college. I believe it’s important to look back and focus on the songs that influenced me during this time because they, in part, assisted with how I remember each key moment in my college life. Lately, I have thought more and more about my future, in regard to my education. With that said, I hope to further my academic career, in hopes of one day become a teacher. This playlist is a reminder of the past and what to look forward to in the future. 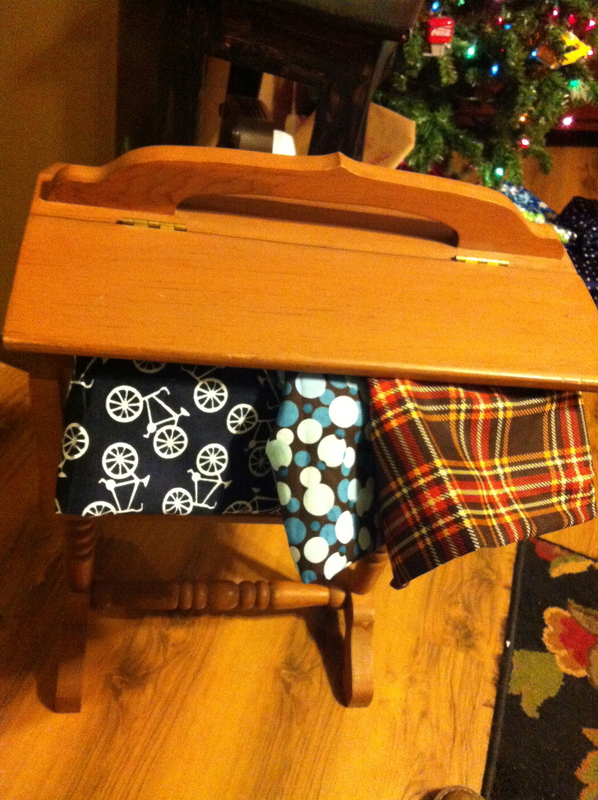 During the holidays, my friend/cousin Jori gave me my first freestanding sewing box, and inside I found three different styles of remnant fabric. The one that stood out immediately to me was one that had several bicycles on it. 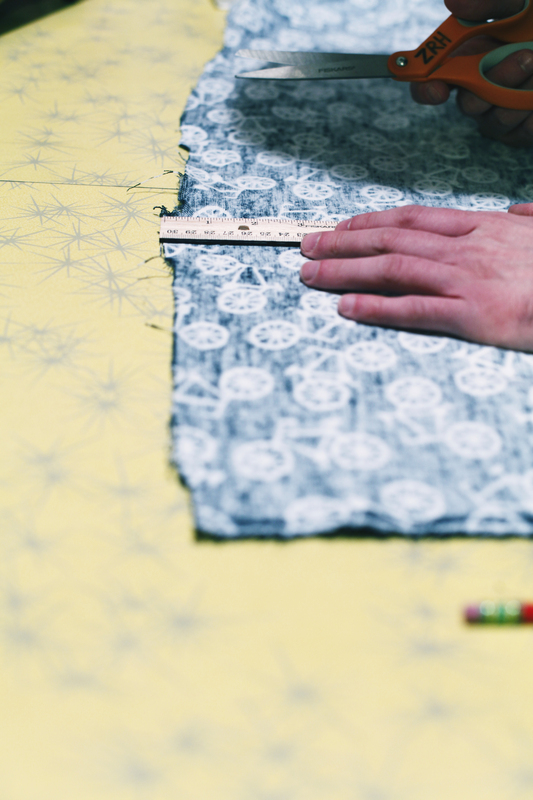 I had various creative thoughts flood my mind on what I wanted to make with it. The best idea that I have come up with was to make a bowtie using this fabric. In assistance of Elsie and Emma’s blog, A Beautiful Mess, I was able to construct this very unique piece to add to my wardrobe. The making of this piece was fairly simple, thanks to the instructions. I had to use some of my own techniques because I was unable to find the double clip that was shown in the DIY. In lieu of this piece, I found alligator clips at Hobby Lobby that serve the same purpose and are an inexpensive alternative. This bowtie are like my coats, in that it has it’s own distinctive quality. This is why he, too, has a name: meet Ryder. While his name truly fits his pattern, the name comes from the English origin, meaning messenger. I see this fitting of me; I am constantly on the hunt for innovative and noteworthy ways to express my image to you, my readers; I hope the message is distinct. 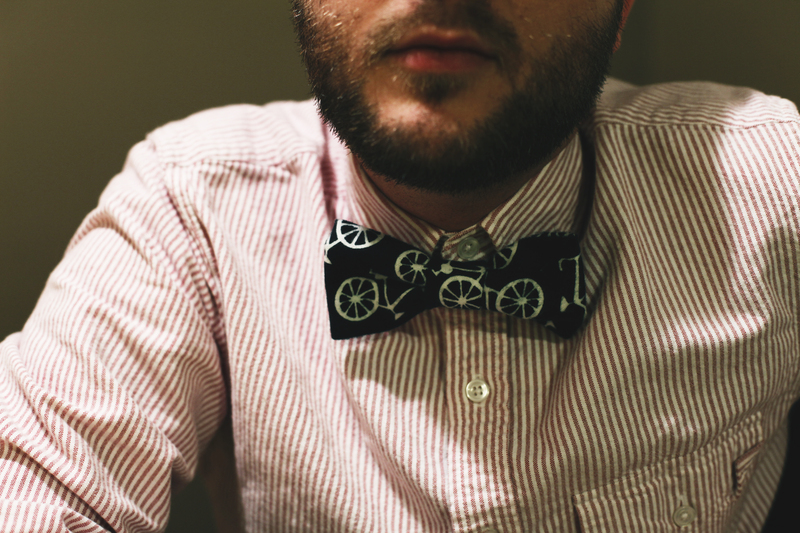 I encourage you to explore your personality and your creativity, if you so desire, to make your own bowtie. Have fun with it. I have always been a big fan of bags and coats. This coat in particular, I found while thrifting at Red Racks. 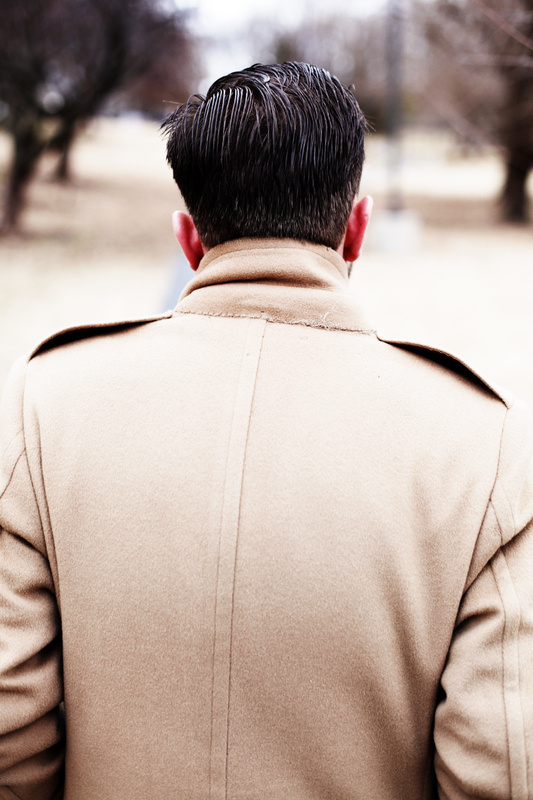 Growing up, I always had a fascination with not only jackets, but also coats that I would see an older man wearing. As I have become a thrifter, my sights are more prone to finding interesting coats with different fabrics and patterns. The coat pictured, is one that is very unique, in that it’s double-breasted. It also is camel-colored, which is not as common in menswear. Due to my abundant collection of coats, I have chosen to give each of them names. This one, being that I found it with my friend, I decided to give it his name, Charles. The coat doesn’t necessarily personify Charlie, but he was present when I bought the coat. I feel like the name Charles, in essence, exemplifies a man who takes risks and is not afraid to stand out. ‘Charles’ showcases the quality in color, age, and sophistication. In sifting through various coats, this one grabbed my attention almost instantly. The cut, the buttons and the style had a sophisticated appeal that could only add to my wardrobe. 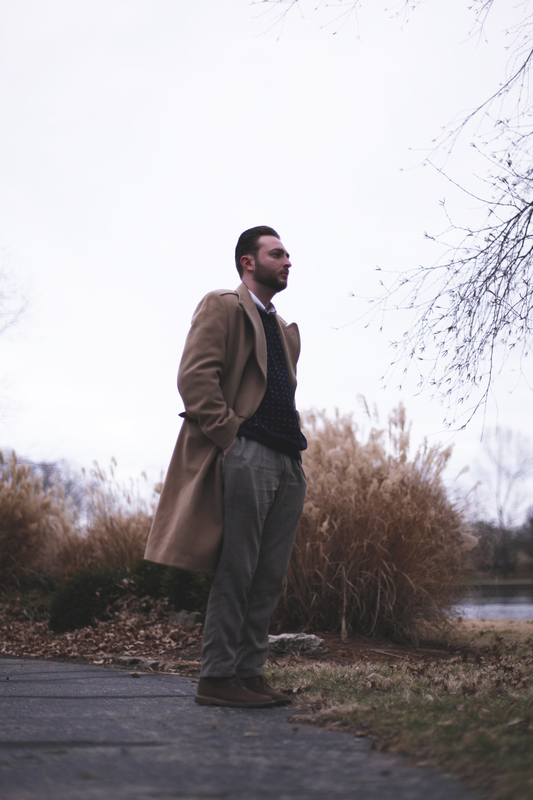 It reminded me of a coat Cary Grant would have worn in one of his movies. It also had a very distinct European look to it with shoulder loops. The buttons have an aged look about them. This is one of my favorite parts about this coat. 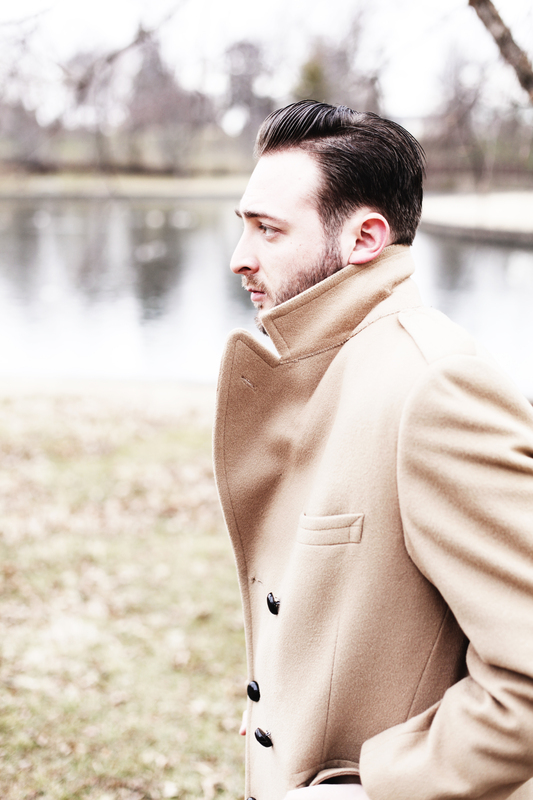 Most guys see a coat for one purpose: to provide warmth on the coldest of days. I see them, though, as something that serves not only for its conventional purpose, but for the style, in which exemplifies my personal taste. In searching for your own Charles, try to emulate your style. Keep a mental image of a style that you favor, in that it will make your search and find much greater. Remember that coats, like a person, have unique qualities, so you may, like myself, give them a name that personifies their attributes. This passed year, I started this blog, in hopes of using my creativity and also to be an inspiration, like other bloggers have been for me. In 2013, I aim to keep up with the things I have done already and to continue to make this a blog you continually revisit, post after post. I plan on staying true to the things on my blog that has created a significant response for both my readers and me. When I started the blog, I felt as though it was not a road I wanted to venture upon, but now that I have walked the path, I feel inspired to continue to see where it takes me. My creativity has continually grown and has become more diverse with every post. I feel that my style and attitude stands as vastly different than others my age. 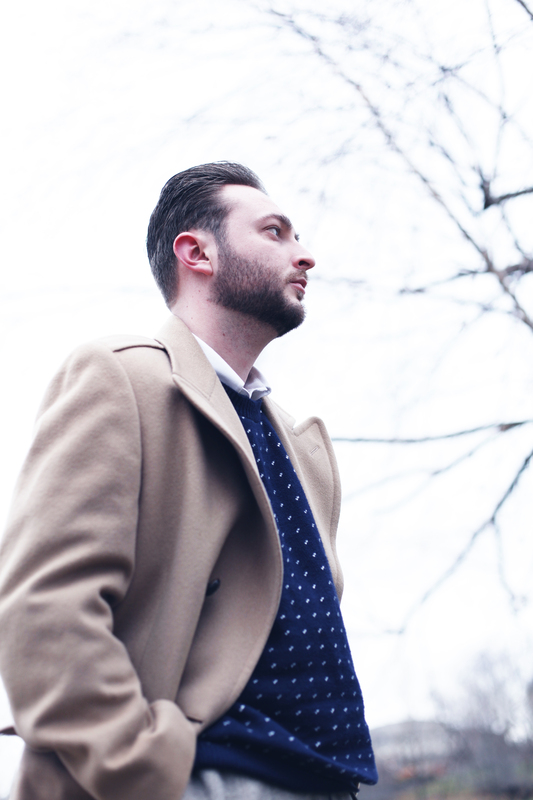 I classify my style as being traditional, with inspiration from the 1950s and 1960s. 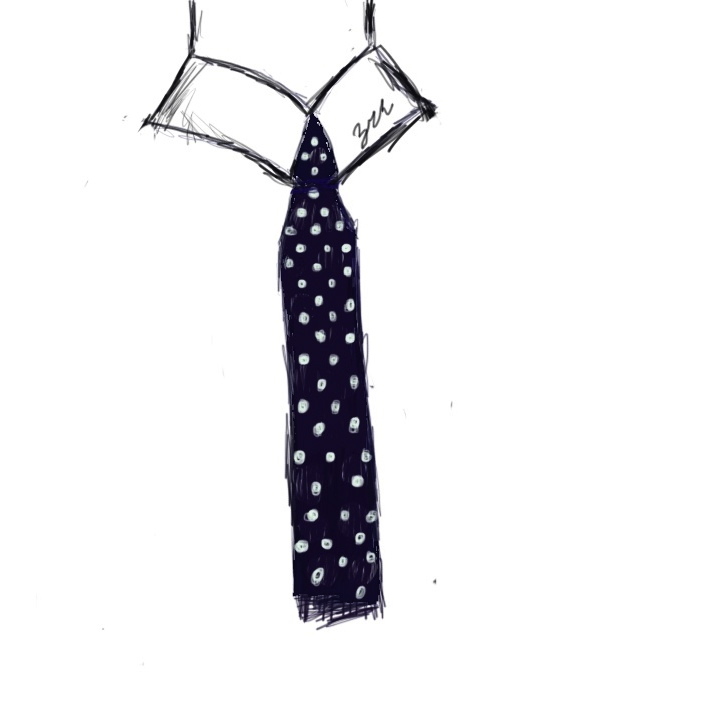 I tend to sneak some modern style into my clothing, with tailoring and patterns. As the New Year continues, I see my path as a wide road with endless possibilities. I feel that that venturing into these ideas, you, the readers, can help me out on the posts you want to see. If there is a certain style you want me to highlight, if there is a DIY you want me to try, let me know. Best wishes in the New Year.